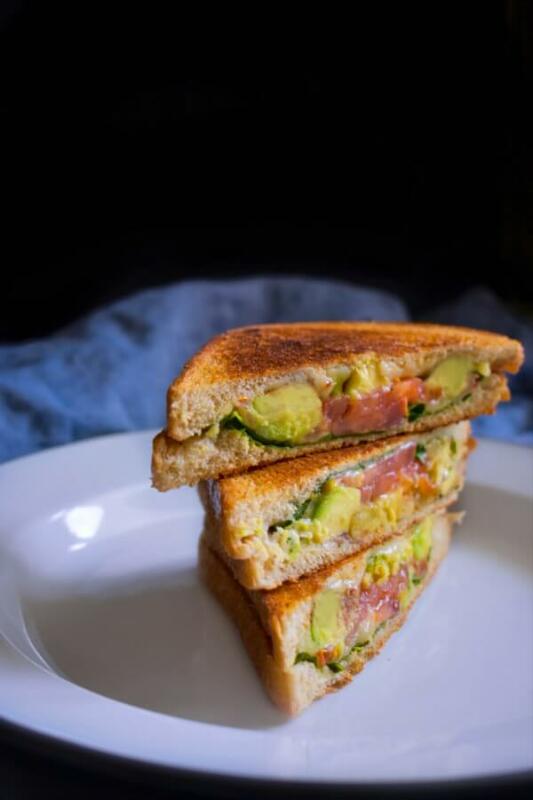 Avocado Tomato Grilled Cheese Sandwich: Bite into this perfectly golden crusted sandwich filled with avocado, tomato, and French cheese. 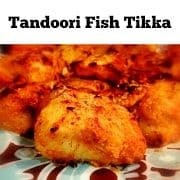 It’s delicious in every bite and makes for a great gourmet breakfast or anytime snack. 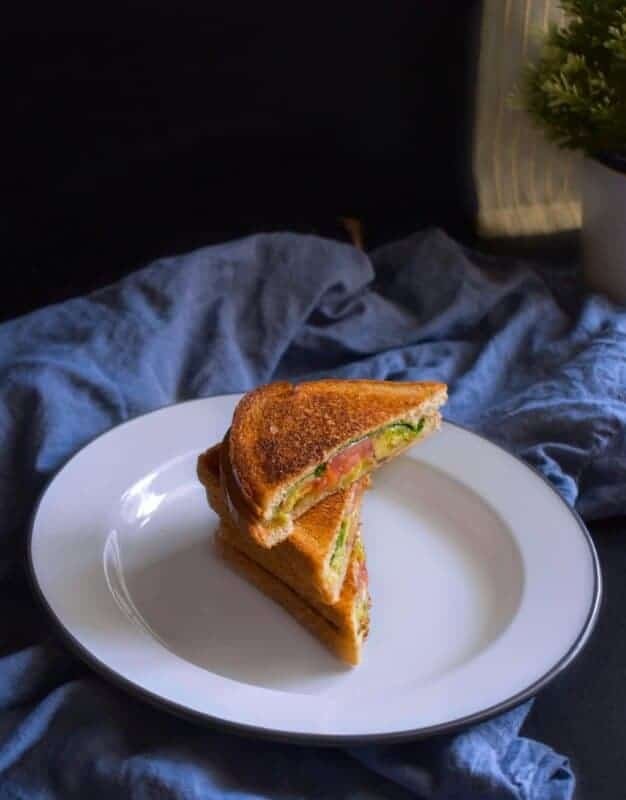 These Avocado Tomato Grilled Cheese Sandwich has been our staple breakfast for last few days and we are totally loving it. 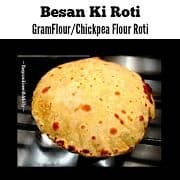 For us, if you talk about a great breakfast or breakfast brunch, it has to include a grilled sandwich along with few other breakfast essentials. Also, the grilled sandwich should have that ‘Perfect & Even Golden Crust’ !!! Trust me, after making tons of sandwiches, I’ve literally come to a conclusion that nothing gives you a better and even golden crust than an ‘iron skillet’. 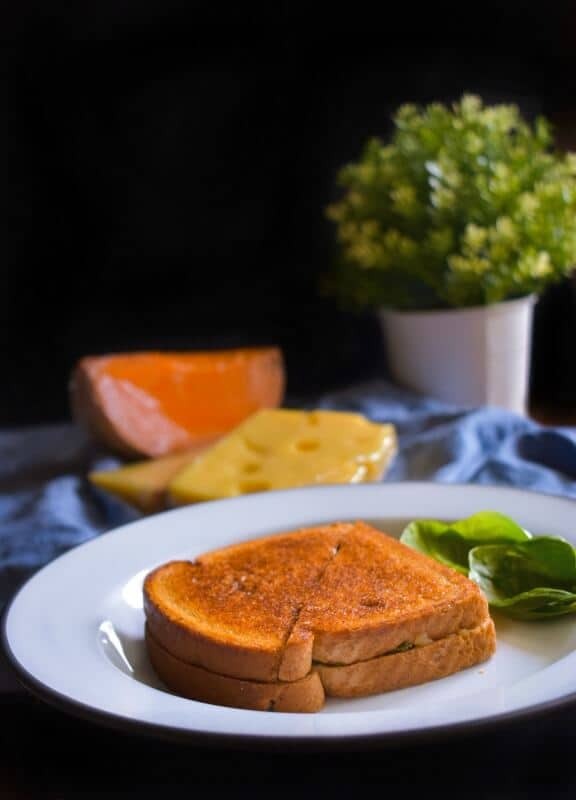 The next most important thing in your grilled cheese sandwich is ‘Cheese’ :)!!! 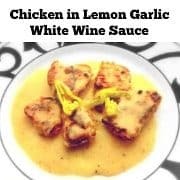 For us, it’s about a mixture of cheese that gives me that buttery, cheese flavor with a slightly sour flavor yet not overpowering as I want to taste all the flavors in my sandwich and not just a strong cheese. 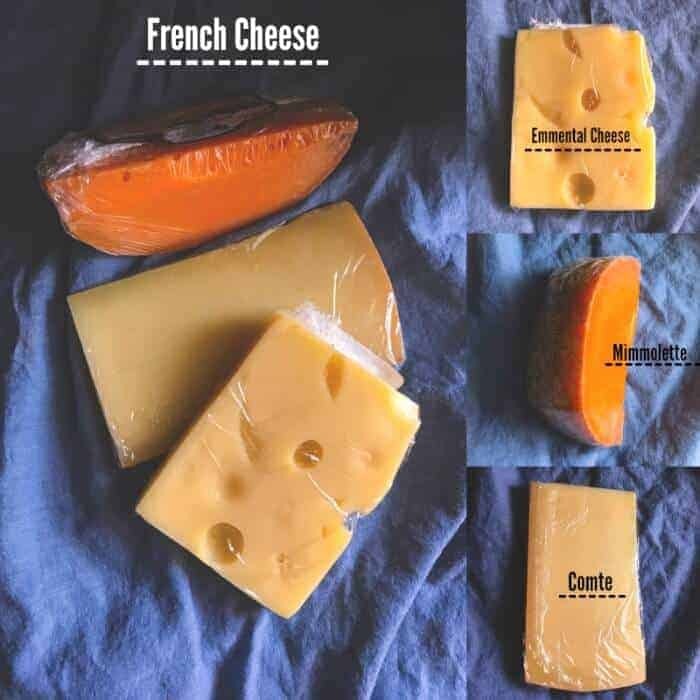 We recently got to try some ‘French Cheeses – Emmental, Comte and Mimmolette’ and after trying them. 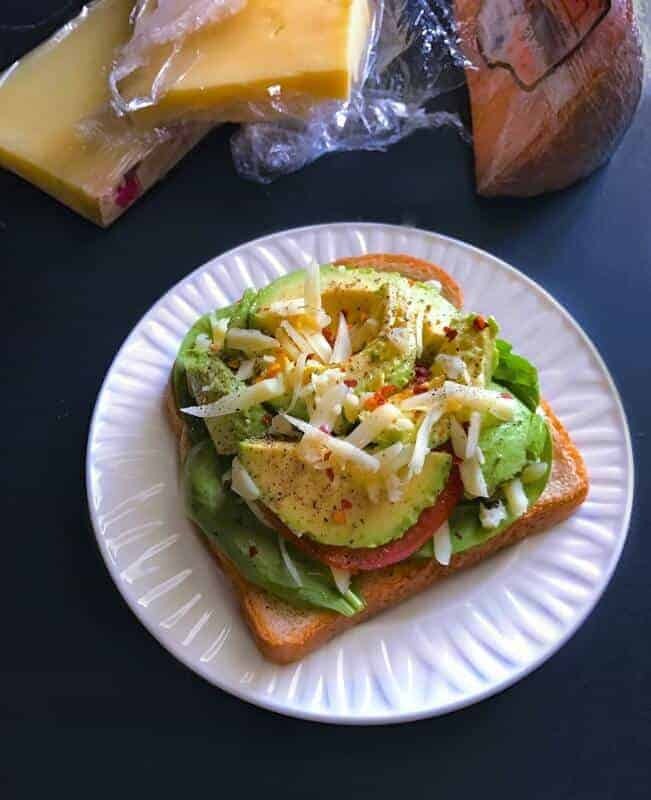 I decided to use two of them (Emmental and Comte) in my Avocado Tomato Grilled Cheese Sandwich as both the cheeses go really well with the other ingredients. French Emmental: is from the pasteurized milk of grass-fed Normandy cows. 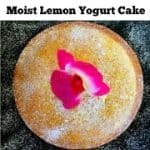 Smooth and creamy, it’s striking feature is in it’s distinct “holes” or “eyes”. Mimmolette: hails from the Normandy region of France. Its delicious semi-firm cheese has a sharp and nutty flavor. Comte: is a French cheese made from unpasteurized cow’s milk in the France-Comte region of eastern France. Comte has the highest production of all French AOC cheeses. Once we got our cheese and grilling technique sorted, we just dived straight into making these delicious Avocado Tomato Grilled Cheese Sandwich. 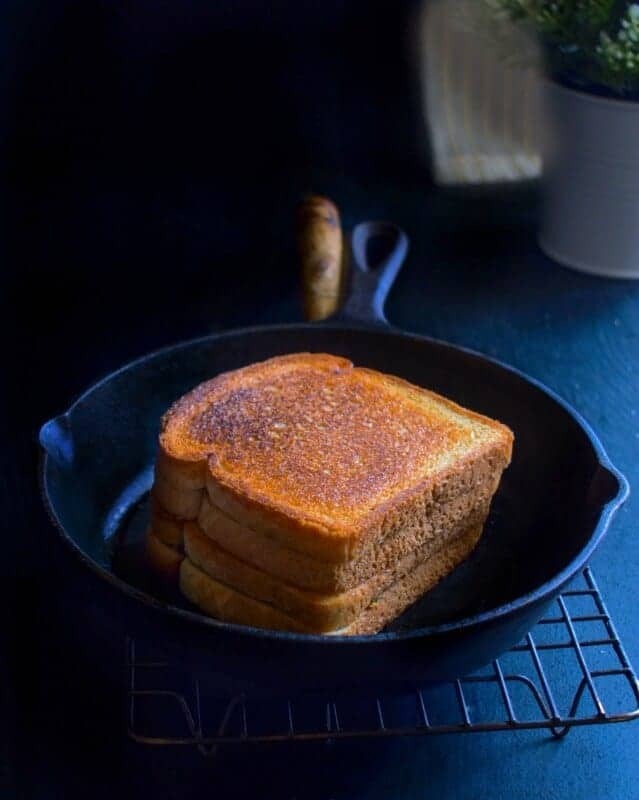 You can use either but if you’re using oil, use a slightly dense/thicker oil as the lighter oil will burn quickly while your sandwich is still heating. You need slightly unripe avocado as heating them in a sandwich would make them further mushy. So, that’s it !! These were my quick tips on that perfectly grilled sandwich and I’m hoping you try this version soon. Mix both the cheeses together and keep aside. Take a slice of bread and sprinkle 2 tbsp cheese on it. Now, add 3 tomato slices filling the entire slice. Place 3 avocado slices all over the slice. Sprinkle 1tbsp cheese and cover with another slice of bread. Similarly, make all the sandwiches. Heat a skillet and add 1/2 tbsp butter. Place 1 sandwich over it and turn heat to low-medium. Slightly press the sandwich to help seal both the slices together. Let cook for a minute and then turn the sandwich to another side. Cook till golden brown and then remove the sandwich. Similarly, grill the other sandwiches too. 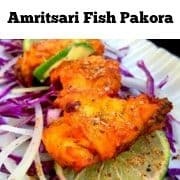 Serve Hot with fav sauce or enjoy as is. 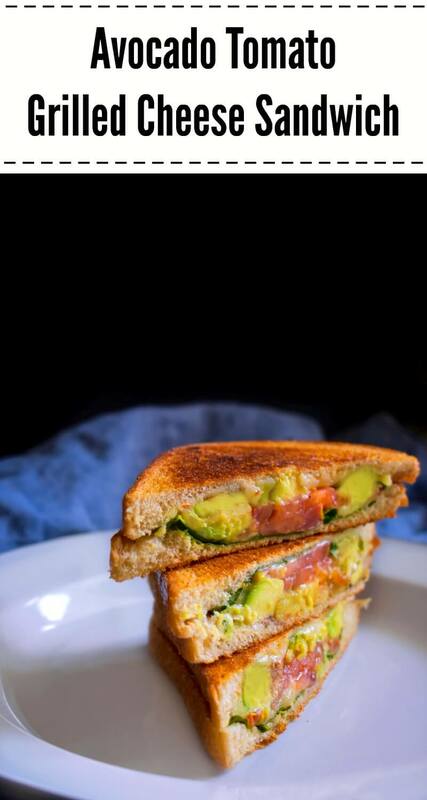 7 Replies to "Avocado Tomato Grilled Cheese Sandwich"
Sounds like a tasty sandwich! 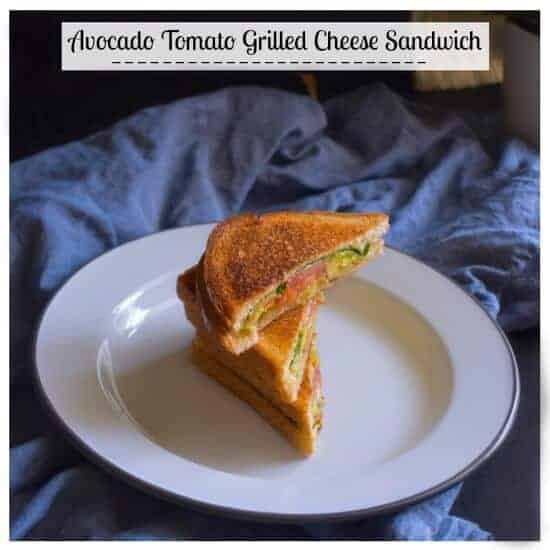 Love using all types of cheeses for sandwiches and paninis and love the addition of the avocado! Hmm – I”m not familiar with Mimolette. I’ll have to look for that in the local cheese store! This is the first I’m hearing of these cheeses Molly! Thanks for all this info! I’ll keep an eye out for them!